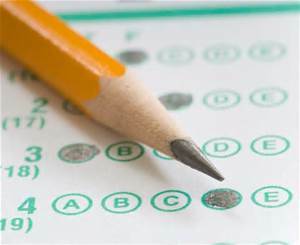 The SAT is named because it was originally a “Scholastic Aptitude Test”…more of a general intelligence exam with its roots stretching back to the military and World War I. The ACT, on the other hand is more recent in time, and was initially designed as an end-of-high school competency exam that tested how well a student had learned basic high school level content–math, reading, logic, grammar and vocab (essay writing option). Over the years the ACT has become the preferred exam with more students now taking it over the SAT. This trend became possible because all colleges and universities now accept both exams. However, over the years, and in response to these shifts, the SAT has moved to make their test more and more like the ACT—a high school competency exam. With the new changes coming in March 2016, the SAT is making what is probably its last move to become an actual high school competency exam. Nevertheless, the student should bear in mind that the new SAT starting in March 2016 will have roughly 95% of the content as the current exam. In other words, the vast majority of the content will remain the same as before because the skills they test don’t change. Most of the changes are form and not substance. Even after March 2016, the SAT will continue to test the same five (5) basic skills: math, reading, logic, grammar, and vocab.